If you’re a marketer, your number one concern is customers. You have probably read and heard a million and one ideas about how to build relationships, retain customers, list build, and inspire consumer loyalty. But the tough question is, “How do I convert prospects into customers”? There are a lot of people out there who see your ads, think about them, and maybe even say, “I ought to…” They’re just waiting to be encouraged to do something about it. There is something you can do to help get them moving! Very few people can pass up a deal that’s “too good to resist.” Think about it… how often do your customers want your product, but just want something else a little more? That leaves you with a long list of “almost sales” that have the potential to be converted into real sales and profit. Sweeten the deal. Make the offer so good they can’t resist it. Now, I’m in no way suggesting that you drop your prices to sweeten the deal. You can just as easily load it up with bonuses to increase the perceived value without cutting away at your profit. Bonuses motivate sales, maybe even more than price cuts. Don’t let potential customers waste time. Get them into the store right away with a deadline. They may have to put a competitor’s purchase on hold to get your deal, but hey… what’s wrong with that? How would you like to increase your sales by more than 50 percent? Yeah, this sounds great! There’s really a very simple tactic that you can implement to make this happen… follow-ups. Chances are, potential customers aren’t going to buy your product the first time they see or hear about it. Maybe it will be the third or fourth, but they may need to hear from you that third or fourth time before they essentially become a customer. Do you have a follow-up system in place? Simply contact the “almost customer” every month with a new offer, or give them more information about the product they are showing interest in. It doesn’t have to be a complicated process. Keeping the contact there goes a long way toward building trust… the key to finding life-long clients. Many Internet Marketers experience a high number of consumers who browse their site, then click away. You can’t follow-up without some form of contact information. A great way to gather the information you need is to offer a free eBook or informative report that consumers will find of interest. 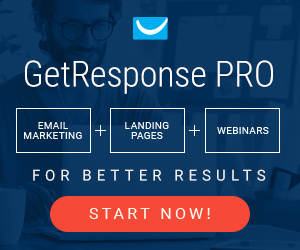 Once they’ve given you the information to email them the product, you have what you need to keep in contact, and work on converting them into loyal clients. Personalize as much as possible. If you can get the first name of your customer… great! Personalized messages have greater appeal than “addressed to occupant” messages. And remember, in order for a plan to work, it has to be carried out. So what are you waiting for? Get started on converting more customers. For information on how to convert more customers, visit http://biz-startup.com.